In June of 2014, comedian Tracy Morgan was seriously injured and another passenger was killed when their limo bus was struck by a semi-trailer on the New Jersey Turnpike. An investigation by the National Highway Traffic Safety Administration (NHTSA) determined that the truck driver’s fatigue was the likely cause of the crash. The driver had reportedly been awake for more than 28 hours at the time of the accident. That devastating accident earned national attention mostly due to Morgan’s fame, but this type of incident is a sadly common occurrence on our nation’s roads. Drowsy driving was responsible for 846 deaths last year alone, and the Federal Motor Carrier Safety Administration (FMCSA) has named fatigued driving has one of the leading factors in large truck crashes. 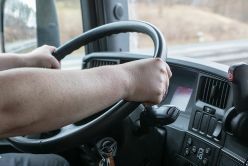 Under pressure to deliver cargo faster and more efficiently, truckers have been named by the Center for Disease Control and Prevention (CDC) as one of the groups most likely to drive drowsy. When they do, the consequences can be deadly. Commercial trucks are larger and heavier than passenger cars, causing greater damage when involved in an accident. A 2013 NHTSA study stated that 71 percent of those killed in large truck crashes were occupants of passenger vehicles. Drowsy driving has been compared to drunk driving. Research has shown fatigued drivers have impaired judgment, slower response times and decreased awareness of the conditions around them. The danger is so serious that some states are considering enacting legislation that would allow law enforcement to charge a drowsy driver involved in an accident with criminal negligence. Drivers have a 14-hour window in which they may drive up to 11 hours. This window restarts only after the driver has had 10 consecutive hours off duty. Drivers are required to take a break of at least 30 minutes after 8 consecutive hours of driving. Drivers must adhere to a weekly limit of 60 or 70 driving hours for a 7 or 8 consecutive-day period. Recently, the FMCSA released a new rule requiring drivers to log their hours in an electronic logbook. Previously, drivers used paper logbooks, which can easily be manipulated to hide the true number of driving hours. The electronic books will record hours automatically by tracking engine hours, vehicle movement, miles driven, and location information. The FMCSA estimates the implementation of this technology will save 26 lives and prevent 562 injuries each year. When truck drivers ignore the rules of their industry, they put others’ lives at risk. If you or someone you love has suffered injuries in a truck accident, and you suspect drowsy driving is to blame, you may be eligible to file a claim. Contact the experienced legal team at Morris James Personal Injury Group for a free, no-obligation consultation today.